Cartilage is the connective tissue that covers the ends of your bones, allowing them to glide easily during motion. Injury or arthritis can damage cartilage, causing increased pain and reduced functionality, most often in the knees, hips, and shoulders. A cartilage tear can be caused by a number of factors including overuse, wear and tear, a direct blow to the affected area, or a sudden turn. For example, a forceful twist can cause the end of the femur (thighbone) to grind against the top of the tibia (the shinbone), tearing the meniscus cartilage in the knee. This can also occur when lifting heavy weights or objects. Cartilage tear is a common injury sustained during athletic activities, particularly when participating in contact sports like football and hockey, or any sport that requires pivoting and sudden stops, such as tennis and basketball. 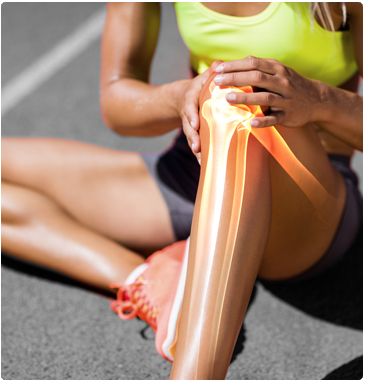 Our expert surgeons at Spectrum Orthopaedics offer a variety of treatments and technologies to repair cartilage tears, including minimally invasive surgical methods that reduce pain, scarring, and recovery time.